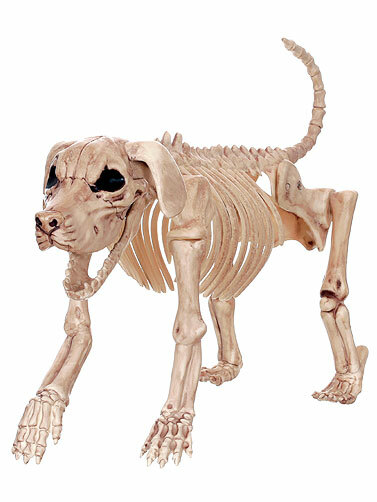 Beagle Bonez Skeleton Dog Prop will add some bite to your Halloween display. Constructed from sturdy plastic for indoor and outdoor displays. Head can be turned and features a hinged jaw that allows you to open the mouth. Beagle Bonez Skeleton Dog Prop measures 18"L x 11"H x 6.5"W.